CENTREPOINT Insurance Brokers offer a range of services to assist you to protect your assets. We are able to provide advice and deal in general insurance products, including arranging new policies, endorsing and renewing existing policies and assisting with the most important aspect of insurance… CLAIMS! Complete this detailed online form with information about your business to receive a quote from Centrepont Insurance Brokers. Insurance calculators to assist with determining the replacement cost of your home as well as how much you need to insure your contents for. 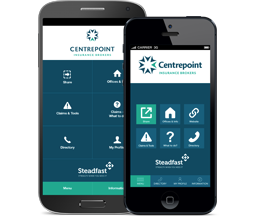 Relevant news, information and articles from Centrepoint Insurance Brokers.